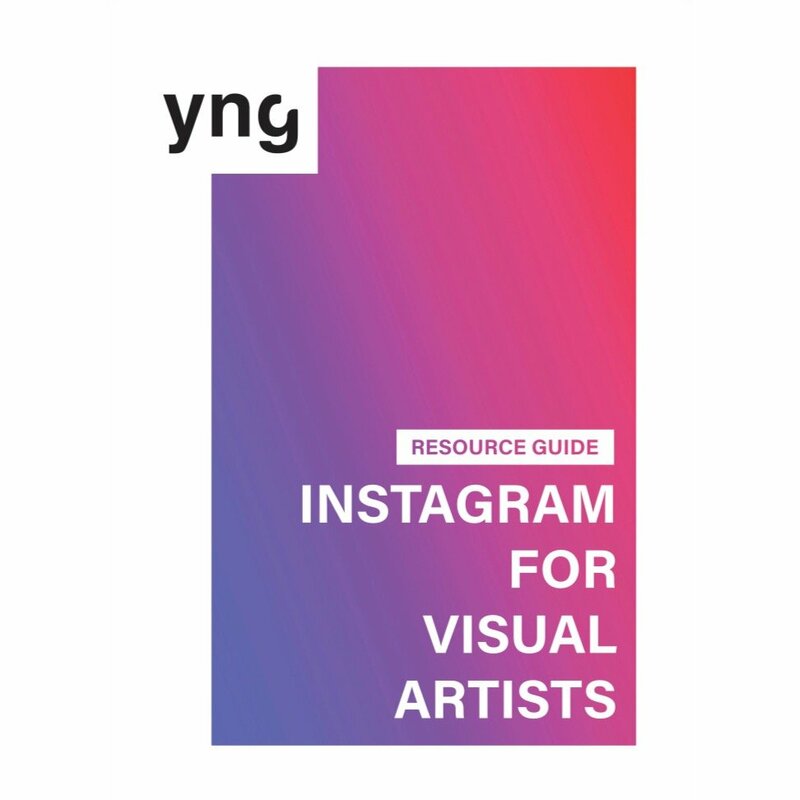 AVAILABLE NOW: Instagram for Visual Artists Digital Resource Guide! Okay, let’s talk Instagram. Love it or hate it, more than any other social media platform, it has revolutionized the way that the art world does the internet. It has amazing promotional and networking potential. It’s visual, it’s free, it’s super simple, and you can reach thousands of potential followers and — hopefully — buyers. And while it can be an amazing tool, it’s worth noting that there are ways to do it really well, and… not so well. Here are some pointers I’ve picked up along the way that can hopefully help you develop or improve your own Instagram gallery and get your work out there! I’ll just get this one out of the way. It’s kind of obligatory: Hashtags! What’s the big deal? Instagram posts rely on hashtags to allow other users to find your images. This is old hat to many of us, but when it comes to getting your work seen, a lot of folks could benefit from using hashtags — and learning to use them well! Hashtags (putting a # sign before a phrase, such as #painting or #inthestudio) allow people who are poking around on Instagram to find a wide selection of images from various users who tag their images. Think of different ways to describe what you do. #sculpture? Think #3Dart #wallsculpture #marble #art #contemporaryart #softsculpture and so on. Instagram limits you to 30 hashtags, so use ’em! Want someone to see your work? Don’t just drop your website address in the comments, or leave comments like, “Look at my work!” There are so many things to look at — billions of images — so it’s important to be, well, human. Even in one of the most simplified, virtual spaces out there, making a real connection with someone will take you much, much further than careless, spammy comments. Want to get someone to pay attention? Contribute a meaningful comment, or send a DM (direct message) if appropriate, and do so when you genuinely enjoy the content, or you want to spark conversation. Definitely don’t try to sell your work on other accounts’ gallery pages. That’s just tacky! If you’re not on on the #wip bandwagon, now’s the time! I’ll get to this in a second, but there’s really no need for you to have a perfectly curated, spotless Instagram gallery of completed works available for sale. There are plenty of magazines, galleries, museums, blogs, and other platforms out there that provide clean, cropped, seamless Instagram galleries, and you should just let them do their thing and share what you actually do. The behind-the-scenes glimpses into your work space and process are the key to generating interest in what you do. So, what are you working on right now? #wip is a work-in-progess post (and use that hashtag! )… and you might actually love the feedback you get on putting a not-yet-finished artwork out into the world. 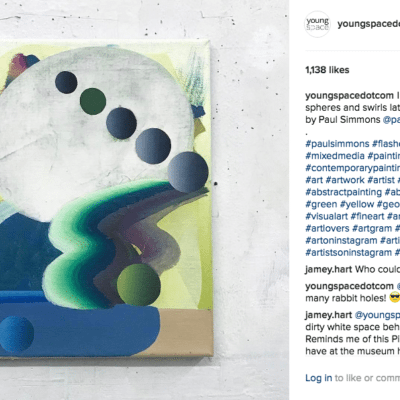 While many artists also curate, and many curators are also artists, your Instagram account should be about your work, and it should be authentic. This is problematic word in many ways, but I use it in the sense that, no matter how beautiful or perfectly manicured an account might look, it starts to look cliche, or worse, like a brand, if it’s too perfect. Branding on Instagram is an entirely different ballgame. And while in one sense, as an independent artist, you are a little bit of a jack-of-all-trades, and you are ostensibly marketing your work, you don’t want to look like a boutique. You want to look like an artist making art. So be genuine! Some paint-splattered walls are okay. Some pictures of your obnoxious cat are also okay — cats are always okay! DO: Put yourself in there! The human element is really important, and there are numerous ways to do this. 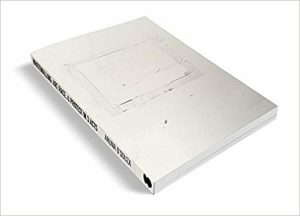 Share photos of yourself at a gallery opening, images of you at work in the studio, you with your kids or your dog or your pet gerbil, group photos with friends or other artists, and so on… This comes with the caveat that, again, this should be done authentically. “Authenticity” on Instagram may sound like a contradiction in terms, but bear with me. Snapshots of your actually paint-stained hands, or your actually beautifully-lit studio, or your actually awesome exhibition installation views — YES! Images of you (ladies, I’m talking to you) scantily-clad in front of a canvas you’re not actually really painting right now? Not so much. Putting yourself in the image adds a human element, though, and puts a face to your work. If buyers find your work, they’ll know who you are, in a sense. Folks might recognize you at a gallery opening. And you’ll give your gallery an automatic personal twist, because it’s you. DO: Share other artwork you love! Give your friends — and the famous and historic — the love. If you visit a show, or a museum, or another artists’ studio, and you’re inspired by what you see, share it! It’s kind of like seeing another part of your process, but it’s also a genuine way of being a part of an artistic community through this medium. It’s kind of obvious, if not right away then pretty quickly, if you use Instagram to dump a whole bunch of photos of your work, and then ignore it for a couple months — until you have more work. Instagram is a social media platform — so be social! It can take a little bit to warm up to it (I admit it took me a couple of years to really get into it). And while it’s not necessary for you to like or comment on every single post, doing it meaningfully and creating connections — and making your presence known — can go a long way. Whatever you do, be consistent. One rule of thumb is to post at least once every day. But we’re all busy, and we’re all working on other stuff… like art, duh! But even if you post just a couple of times a week, the important part is to keep up with it. Instagram, like all social media platforms, is constantly adding features. You can be more or less business-like (if you use a business account, you can actually get insights into how many people are seeing your content and what they are engaging with most). You can post quite long videos these days right into your gallery, as well as live videos, which your followers are alerted to when you begin. You also can create stories, which are either still images or short videos — similar to Snapchat — which exist for a short time and can be accessed by anyone for 24 hours. So if you worry about putting a video on your gallery and ruining the “flow,” you can opt for a temporary story instead. Feel like sharing an experience at the moment it’s happening? Opt for a live video. For a simple platform, there are a lot of ways to make it yours! Do you, your work, and at your pace! Support Young Space! Like what you see? As an independent curatorial platform, this project can use your help! Although I included my web address below, it is down for a bit. I have been on and off from Instagram multiple times. I started at it again maybe about a year ago. It has been a trial and error process. Learning what feels comfortable to post and testing my own boundaries. Trying to make it less about the likes and more about a real connection. I think the biggest challenge was or is still is showing more of myself in the post: my home, my family, friends, etc. Allowing myself to be less rigid and more free and comfortable. Thank you for writing the post, it has given me encouragement to keep following the more self-affirming path. Also, yes, cats are always okay! Thanks for reading! I’m glad it could be helpful — it really is a trial and error process, for sure! It seems to take a while to really figure out how it works best for each of us. I agree that I’ve found it most helpful to also emphasize that connection aspect, and not worry about the likes… much more satisfying in the long-term, and in a real way! I found this to be so helpful. Instagram and I have always had a love/hate relationship. I want to share my process but once I do I feel stressed to keep posting every day and I never keep it up because I overthink it too much. This article really made me want to start posting again. I think the biggest thing is stop comparing yourself and your process to others and just be you. Thanks for the read! Hi! Thanks for your work and your research AND for sharing with the rest of us. I am an artist and I’m posting my drawing/digital media work under my name in my account. I also do collage and art quilts and I’d like to share those but I don’t think they should all be on the same page/gallery. My question is do I create a new page/gallery for the different types of artwork I do? How do I do this? Do you think all the different media posted intermittently together in the same gallery is the way to go? Glad that you found this helpful! Everyone’s style is different on social media, so there’s no single way to do it, but it’s usually easier (for you, and for people to grasp what you’re doing) to keep everything in one gallery! I am actually looking for an answer to the same question. I paint with oils realism, or impressionism, but I have another pation for abstract with acrylics and resin. So should I seperate them or not? Am I overwelming my realizm followers with a bunch of abstracts?